Recent digital developments have drastically changed the nature of business-client relationships, bringing the two closer together than ever before. The best businesses are those who are able to maintain strong bonds with their clients, leveraging recent developments to provide heightened levels of customer service to the people that they serve, but they often need some help in doing so. We are a team of strategists and innovators who use data-driven approaches to help our clients form and maintain better relationships with their clients, ultimately driving business. 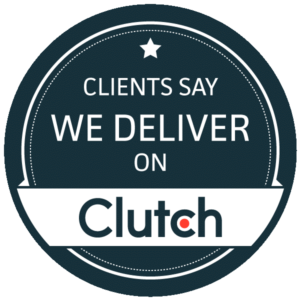 We have been featured on Clutch as one of the top CRM consultants in the world. Clutch is a platform for ratings and reviews of B2B service providers, using in-depth research and client reviews to identify top service providers in dozens of industries. We were stacked up against more than 1,000 of the top CRM firms worldwide, and we were thrilled to learn that we were featured in the top twenty. “Since we began our partnership, 360 Degree Cloud has completed projects successfully and professionally. The team is incredibly knowledgeable about the Salesforce platform. I highly recommend 360 Degree Cloud to anyone seeking help with Salesforce development.” – E-Commerce Lead & Salesforce Admin, Clothing Design Co.
We believe that client feedback is the most important metric for success, and we are thrilled with everything our clients have shared so far. We plan to use this source to improve our services, and we cannot wait to see what else our clients will share with us. In addition to our presence on Clutch, we have been featured on their sister-site, The Manifest, as one of the top react native developers in the world. The Manifest is a resource to firms of all shapes and sizes, offering how-to guides and industry insights to help firms identify and address their challenges. We were included for the quality of our work, in addition to the affordability of our services compared to their value. And to further demonstrate our quality as a digital partner, we have joined other app developers in creating a profile on Visual Objects, a portfolio sharing platform for B2B service providers. This service allows businesses to comparatively shop for their service providers, and we hope it helps us reach new audiences. Now is a time for celebration, but it is more than that. We would like to take this opportunity to say thank you to everyone who has made this possible. From our team to our clients, you are the reason we love what we do, and we cannot wait to get back to work.